I've got a sewing tutorial this week! I go back to school this coming Saturday and needed a wristlet to take with to carry my phone, ID card, etc with me around campus. I looked around on etsy but they were all at least $25 dollars and I couldn't find any I loved anyway. 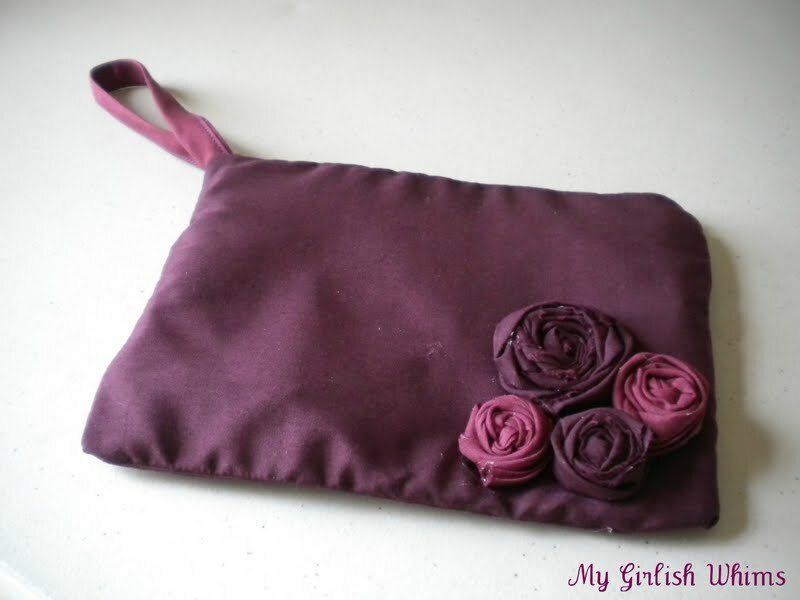 When I saw this tutorial by Mommy by Day...Crafter by Night, I thought that she made it look pretty easy to make a zippered pouch, even for someone like me who can only sew pillows. So....I told myself it was baisically a pillow with a lining...and zipper....and wristlet part....and attempted one! 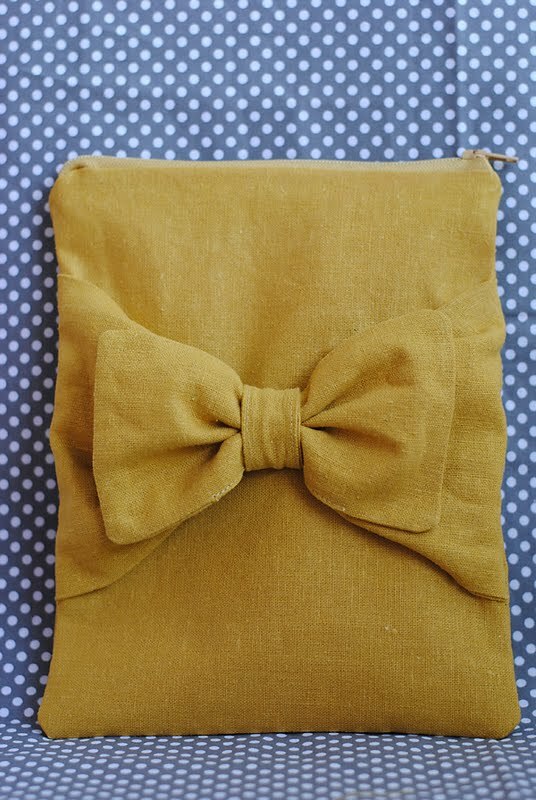 To make one, cut out two pieces of 8" x 6" fabric for the main fabric, lining, and fabric interfacing. I had iron on interfacing lying around, so I ironed it on to the back side of the lining fabric. Then I laid my front piece of fabric right side down, with a zipper right side down on top, with the interfacing right side down on-top of the zipper. I pinned all the pieces in place and sewed together. Note: at this point you should unzip the zipper half way! For the wristlet part of the bag I ran a stitch down some bias tape to use. Pin the right sides together of the exterior fabric and sew around the whole outside. 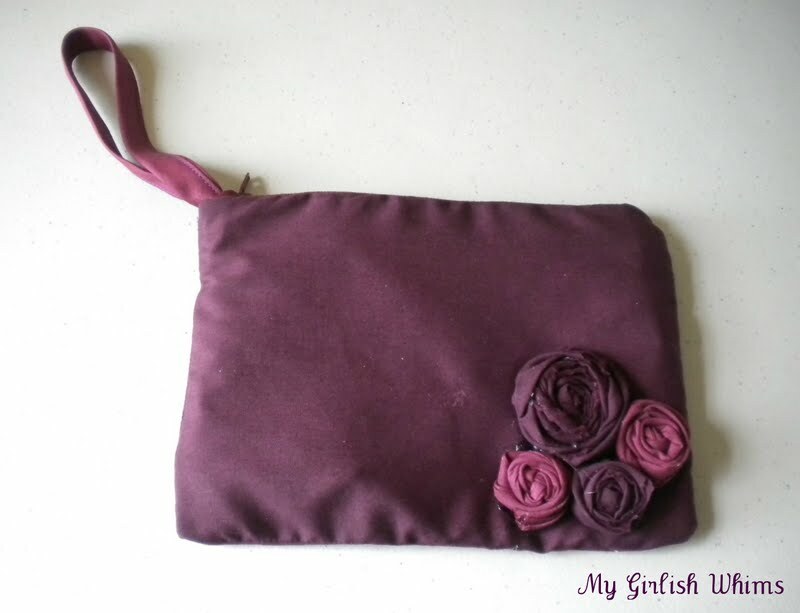 I also pinned the wristlet part on at this point....although I should have stopped and realized that this was the inside of the exterior fabric....and sewing it on the inside would not allow me to use it on the outside....but I didn't until it was too late. So, I made it work...which I explain later. But if you ever make one, make sure you pin and sew it on the right way!!! Next I pinned the lining right side together, and sewed all around it except the corner which matches up with the wristlet side. Then I flipped everything to the right side (that's why you needed to keep the zipper halfway open!) and I pulled the wristlet strap through the hole in the lining, and then sewed that hole up. Not the cleanest way to do it....but, now I know better for next time! 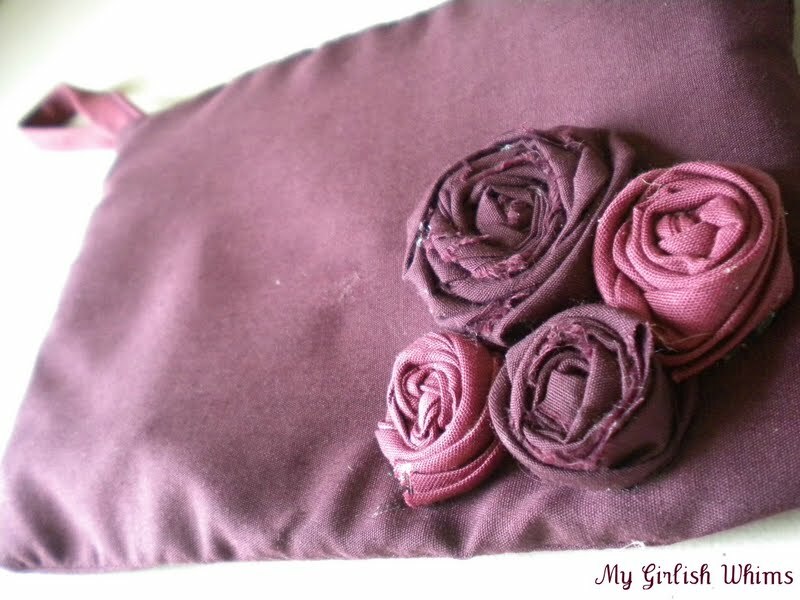 I made some rolled fabric rosettes for it and attached them....and then was done! Just the right size to keep all my essentials! Okay, so how much are you selling them for? This is very, very nice. Thanking for showing this. The tutorial is very detailed. I always find machine sewing zipper is hard. Your way of making it gives me confident. How cute is this? Thanks for the tutorial, girl! That is cute. 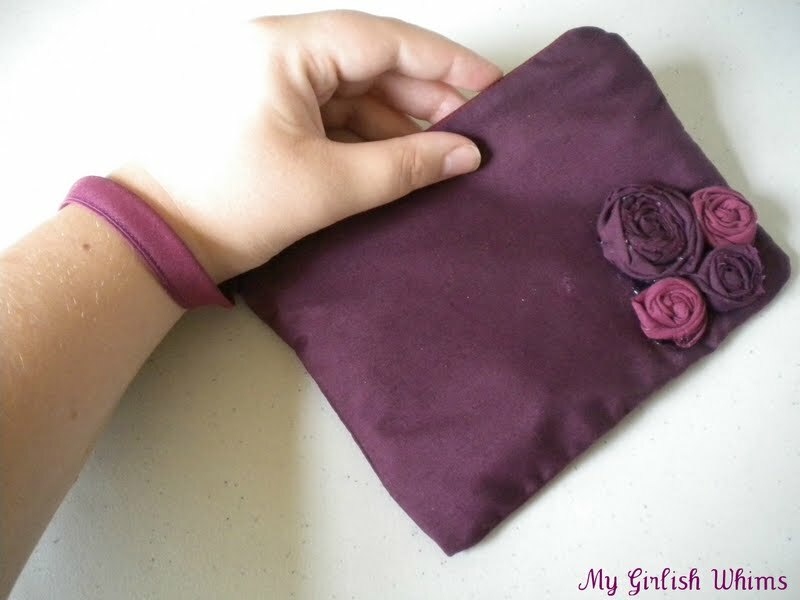 I love wristlets! Really cute! How many chapsticks/lip glosses do you have in it? "Sew" cute, love it. Great color too. Hugs! That is so very cute! I also recently attacked making a clutch. But, I'm a quilter... so told myself it's just a quilt with a zipper. Yours turned out beautifully!! Oh wow - how pretty!! The colors are gorgeous, perfect for fall!! this is lovely! The color combination is very chic and rich. I sew bags too! I hope you'll hop over sometime and check them out. You've made a follower out of me! Aw, super cute! The possibilities with this are endless now. You can do so many colors & embellish it however you'd like great job! Wow, so clever! And that's tough fabric to work with. What lovely rolled roses! Awesome job! This is beautiful! I love the rolled roses and the color. Great tutorial! I am hosting an new linky party for DIY fashion and this would be such a great project to link up! Would love to have you over at DIY Diva Thursdays! I love it, this is a great tutorial! Come on over and link up to Scrappy Saturdays at candacecreations.blogspot.com!